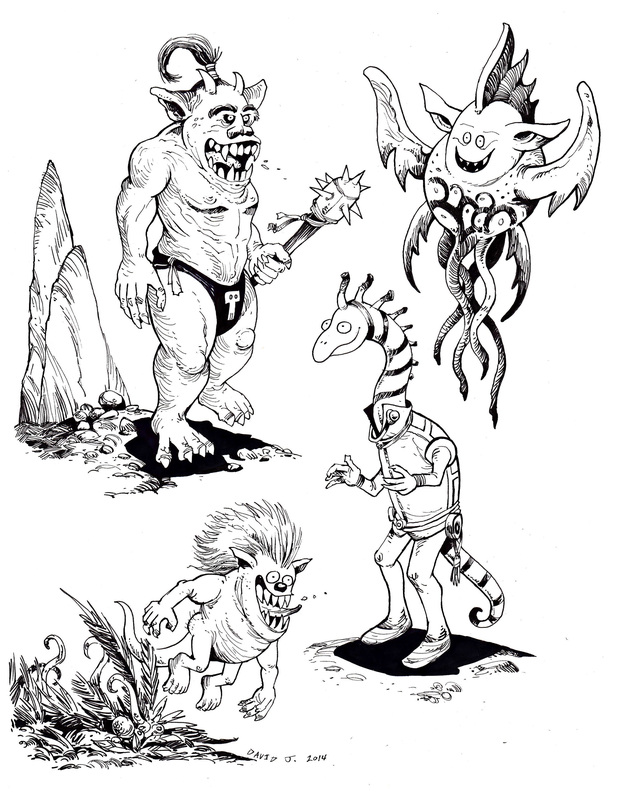 This is a set of strange creature drawings I created. I used pens and markers to make these sketches. My favorite one is the creature with the Mohawk that is bounding out of the ferns at the bottom of the page. My time travelers have traveled to Ancient Egypt in roughly the year 1,500 B.C. I had a great many choices to use as illustrations for Ancient Egypt. 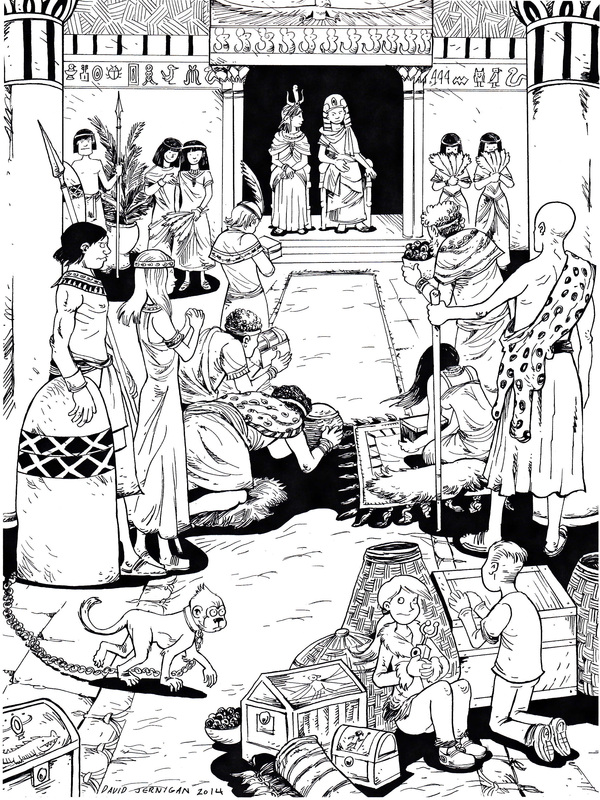 There are many excellent illustrations from children’s publishing companies that show life in Ancient Egypt. I settled on a throne room scene. I looked at throne room illustrations and some Conan the Barbarian comics to come up with my design. In my drawing, dignitaries from other lands are coming to pay tribute to Thutmose III, the mighty pharaoh of Egypt, and his co-regent, his stepmother Hatshepsut, who is watching by his side.